This tutorial contains instructions on how to set Network Connection(s) as metered, in order to limit updates in Windows 10. As you may know, in Windows 10, all updates are automatically downloaded and installed when available, and unlike the previous versions of Windows, Windows 10 doesn't give the option to the user to disable the automatic update. In fact, once a Windows 10 PC is connected to the Internet, the update process starts automatically in the background and downloads and installs all the available updates directly, without notifying the user at all. But this service can be a serious problem, especially if you connect your PC to the Internet over Wi-Fi or 3G/4G. To bypass this problem, Microsoft (thankfully), gives the user the option to set the Ethernet , the Wi-Fi or the 3G/4G connection as Metered, in order to prevent the automatic update download and to save bandwidth over these connections. Windows Update will not download automatically the most updates but will continue to download only the most critical updates. Apps updates downloading from the Windows Store might be stopped. 2. If you want to permanently disable all Windows Updates, follow the instructions in this article: How To Turn Off Windows 10 Updates Permanently. How to Set all Network Connections as Metered in Windows 10. Method 1. Set the Wi-Fi, Ethernet, 3G/4G connection as Metered from Windows. Method 2. Set all Network Connections as Metered from Registry. Method 1. How to Set the Ethernet, Wireless & 3G/4G connection as Metered in Windows 10. 1. From Start menu, select Settings and then open Network and Internet. 2. Select the Wi-Fi (or the 3G/4G) connection from the left and then click at Manage known Networks. 3. Highlight the Wireless connection you 're connected to, and click Properties. 4. Drag the Set as metered connection switch to ON. * Note: For the Ethernet connection, select 'Ethernet' from the left and then click at 'Connected' at the right pane to view the metered connection options. 4. As you can see, at the right pane, where all the available network connections are listed, the default DWORD value in the 3G and the 4G connection, is "2". The value "2" means that the connection is metered. 1. Right click at "DefaultMediaCost" key and select Export. * Note: If something goes wrong, or you want to restore the default registry key settings, just double click on the exported registry file and merge its contents to the registry. 7. At 'Permissions' window, click Advanced. * Note: If you want to give full permission to your user account only, then type your account name in the box. 10. Check the Replace owner on subcontainers and objects checkbox and click Apply. 11. Then double-click to open Administrators entry. 12. 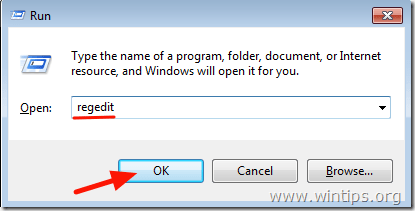 Check the Full Control checkbox and press OK three (3) times, to return back to registry. 14. Repeat the same step and change the value data from 1 to 2 to all registry keys (3G, 4G, Default & WiFI). * Note: If you change your decision and you want Windows to automatically download and install updates, just change the values back to 1, or just double click at the exported registry (.reg) file on you desktop and merge it contents to the registry. « FIX: Windows Cannot Find Microsoft Software License Terms	» How to Use HP Smart Update Manager to Update ProLiant Server.